NEXT | What worries Chris Metzen these days? Toxic fandom. Although roughly the same age as his father when he became king, Anduin Wrynn’s reign so far is a far cry from anything his father accomplished in his first few years leading Stormwind. Thrust into the role solely due to his father’s untimely demise, Anduin took the throne in the midst of war against one of Azeroth’s greatest enemies. He dedicated himself to comforting the populace, barely giving himself time to properly mourn his father’s loss. 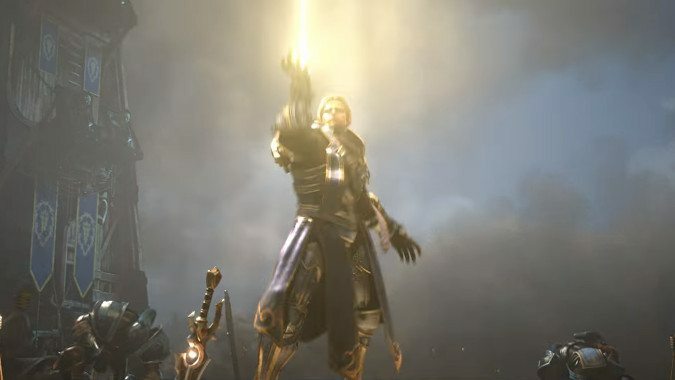 With the war against the Burning Legion at an end, one would think Anduin had a moment to collect himself and think about how to best lead his people. Unfortunately, that isn’t the case. From one war to the next, Anduin’s now pitted against an enemy that, in another world, he may not have wanted to fight. 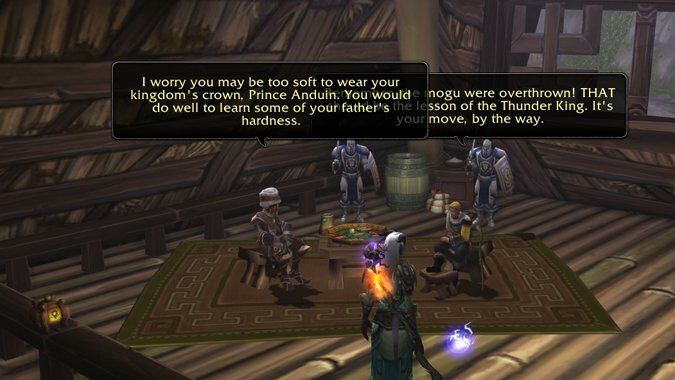 Part of that perception is due to a wish for peace – and part of it is due to the words and example of Jaina Proudmoore. Anduin was never really a fighter in his youth, a fact that continually annoyed his father. He was far more concerned with preserving life than taking it away, a state of mind that eventually led him to the priesthood. But beyond that, Anduin’s childhood has been by and large swathed in war. While his early years were spent in peace with his father, Varian’s kidnapping and Anduin’s abrupt transition from child to king was only the first sign that perhaps peace was short-lived. Varian’s return should have been a return to peace, but it wasn’t. He changed while he was gone, prone to sudden mood swings and violent outbursts. It was Jaina who recognized Anduin’s discomfort with the situation, offering him a hearthstone bound to Theramore, and a friendly ear and space to breathe if he needed it. And it was at Theramore where Anduin first met Baine Bloodhoof. Despite their physical differences, the two weren’t all that dissimilar – both sons of leaders facing their own challenges. Anduin was so affected by his conversations with Baine that he gifted the Tauren his mace, Fearbreaker. And unknown to pretty much everyone except for Jaina, the two kept contact long after the Cataclysm hit. In Anduin, Jaina had kindled the same thirst for diplomacy and peace that she carried herself. In fact, her lessons had stuck so well that when Theramore was destroyed and Jaina began calling for the destruction of the Orcs in retaliation, Anduin was outright shocked at her change in attitude. In the end, Anduin agreed with his father’s decision to attack Orgrimmar – to exact justice, not to commit genocide. The Alliance would never stoop to the monstrous actions that the Horde had carried out on Theramore. On Pandaria, Anduin continued his efforts to try to garner some kind of peaceful resolution between the Alliance and Horde. More often than not, he was found in the company of Pandaren and other neutral parties, trying to solve problems instead of creating more of them. This eventually led to his attempt to confront Garrosh Hellscream directly, trying to stop the Horde Warchief from using the Divine Bell. He succeeded, but nearly lost his life in return. Interestingly, this led to one of the stranger friends Anduin’s made in his lifetime. While convalescing, Anduin took up residence at a small inn, the Tavern in the Mists, where he met Wrathion. While Anduin was still focused on peace between the factions, Wrathion was doing the exact opposite. He was running a gambit of his own that deliberately pitted Alliance and Horde against each other, in an effort to end the tensions between the factions. Despite Wrathion’s strange motivations, the Horde was eventually defeated – and Garrosh Hellscream was not executed, but taken into custody to stand trial for his crimes. Anduin invited Wrathion to watch the proceedings. What he didn’t know was that Wrathion was working to engineer Hellscream’s escape. But Wrathion wasn’t the only person with ulterior motives at the event. Also behind the scenes, Vereesa Windrunner plotted with her sister, Sylvanas, to poison Garrosh in his cell. Anduin was able to prevent the poisoning, but he was unable to stop Hellscream’s escape. All of this leads to what we see in Anduin today. Over the years, we’ve seen Anduin repeatedly question the status quo. Even when Jaina Proudmoore abandoned her life’s work of diplomacy, Anduin continued to carry the banner onward. The idea of war never excited Anduin – he dreaded the pain it would cause all involved. Perhaps naively, he focused on the best in people – even Garrosh Hellscream – and found himself disappointed time and again. Yet it never really stopped him from believing in a better future. That’s what’s driving Anduin now. Over the last several weeks, we’ve seen Anduin confronted once again with the atrocities of war. We’ve seen him try and reach out his hand with the best of intentions in Before the Storm, only to have his hand abruptly slapped away. His first instinct has always been to reach for peace – because if that peace could not be achieved, his father was right there to fight the ensuing battle if necessary. But Anduin’s father isn’t around anymore to see those battles fought. And that’s why Anduin’s actions in the last several weeks have proved to be really fascinating – this is a side of Anduin we really haven’t seen before. We’ve seen the protector, the priest, the diplomat. We haven’t seen the warrior, because he never really had to step into those shoes. What we’re witnessing here is a leader coming into his own and learning his potential. Varian was in his own way both overprotective, and a safety net that Anduin could rely on. But these principles that Anduin believes in don’t necessarily work in the rigors of war – particularly against an enemy who simply isn’t interested in listening to what he has to say. Anduin’s strike back at Lordaeron following the Burning of Teldrassil was a marked departure from the path he’s followed his entire life. But the attack still rang with the truth he learned from his father – fight to exact justice. 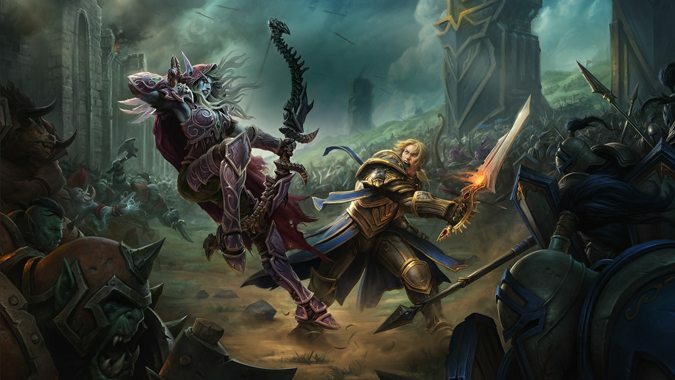 Anduin still believes in justice, and he still believes in mercy – he showed both to Saurfang, despite the old warrior’s protests. Anduin Wrynn: Listen to me. There is no honor in this. High Overlord Saurfang: That is not for an Alliance king to decide! Anduin Wrynn: At this moment, it is. Not so long ago, Anduin Wrynn sat in the basement of the Temple of the White Tiger and listened to Garrosh Hellscream try and draw comparisons between Anduin and Arthas. That conversation was likely lingering in Anduin’s mind as he walked the very corridor Arthas strode down the day he murdered his father, Terenas. But Anduin’s path was clear – to declare victory, and claim Lordaeron for the Alliance. It was a move his father might have appreciated, given his ties to Lordaeron after the devastating events of the First War. And Varian probably would have appreciated his son’s strength in that moment as well. He doesn’t rise to Sylvanas’ bait, doesn’t snap back at her jabs, doesn’t even flinch when she strides up to look him square in the eye. He simply stands strong in his convictions, confident in the victory the Alliance secured. It’s a victory Sylvanas robs from him outright. In doing so, she’s simply reinforced the lesson he learned in Before the Storm – Sylvanas is beyond saving. At the same time, Anduin’s learned more valuable lessons from that battle. Sylvanas will sacrifice her own soldiers to win. Sylvanas will sacrifice her own city to win. And she shows no hint of remorse or regret in doing so. On the one hand, that’s frightening. On the other hand…a leader like that is a leader that is eventually going to run out of support. And if Anduin is very clever, perhaps finding allies within the Horde may be the key to bringing her down for good. For now, however, that kind of diplomacy is off the table – not after what the Horde did to Teldrassil. 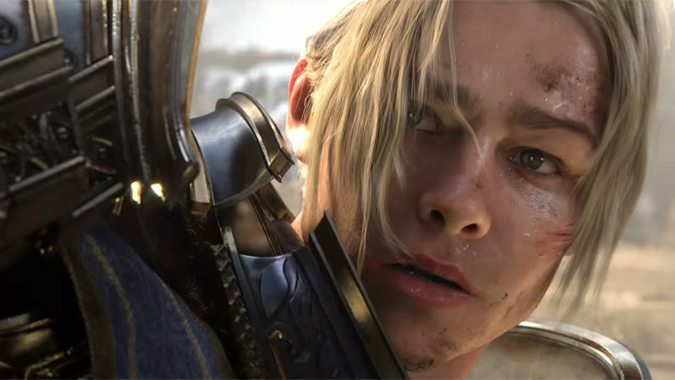 If Anduin hopes to fight a successful war against the Horde, he’ll need every weapon at his disposal, and more…luckily, Jaina Proudmoore may have some connections he hadn’t previously considered an option. Anduin’s not a naive youth anymore. 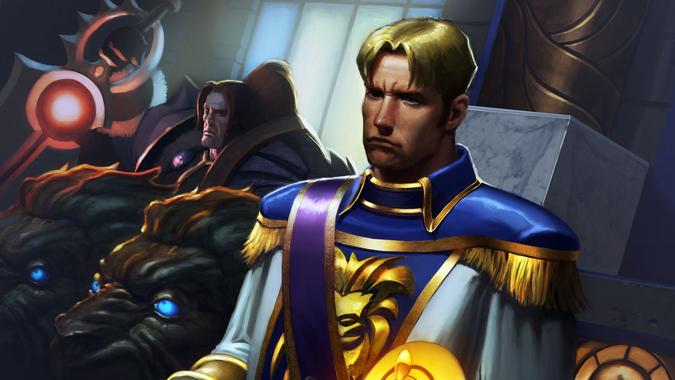 And while his father had time to come to terms with his role as King of Stormwind, Anduin doesn’t have that luxury. Only time will tell how Anduin manages the throne…and whether or not his morals and convictions will survive the experience.